When you find yourself in the middle of an Oklahoma City divorce, you need to protect yourself by calling an Oklahoma City divorce attorney. 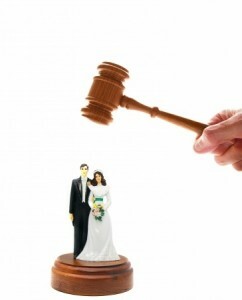 No matter what caused the divorce, you have legal rights that need to be protected. You need a divorce lawyer willing to help you make make the hard choices. You need a family law advocate who will stand by your side as you stand before the judge. and someone who will stand for you through mediation and negotiations. You need a tough-minded attorney with the experience and knowledge to make sure you are getting a fair result in your divorce proceedings. Divorce is not only emotionally complex, but it is also legally complicated. Often a divorce case is really several different types of cases at once. Your divorce may have property issues, alimony or spousal support issues, child custody support issues, and most complex of all, child custody issues. You need an Oklahoma City divorce attorney who is knowledgeable about all aspects of a divorce case. The Wirth Law Office’s Oklahoma City divorce attorney is experienced in dealing with complicated and contested divorces. Their legal knowledge, skill, and experience will help you keep your prospective. Call today to talk to an Oklahoma City family lawyer who knows how the myriad facets of a divorce fit together. Going through a divorce is an emotionally draining experience. It is often difficult to make choices that are in your long-term best interest. There is often a temptation to do whatever you can to complete the painful divorce process, even if sometimes you harm your own position. You need an Oklahoma City divorce attorney who is willing to help you make good decisions. The Wirth Law Firm’s Oklahoma City divorce attorney understands the emotions involved in divorce, and also knows how to make rational strategic and tactical decisions that protect your long-term interests. It is important to find a divorce lawyer willing to help you make the hard decisions – someone who who knows when it is best to fight all the way for something and when it is best to compromise and settle. For a free consultation with an Oklahoma City divorce attorney call the Wirth Law Office- Oklahoma City lawyer at (405) 888-5400. You can also submit an email question from the top right corner of this page. We will respond as quickly as possible to all questions.